Christmas is tradtionally a time of leftovers. We’ve got just about all of the sandwich suitable turkey off it now so now it is time to think of other things to make with the bits and pieces left over. There are lots of options available but few I’d actually enjoy. Pie seemed the way to go. Not only can you use the turkey but there’s nothing stopping you from using up some stuffing or leftover vegetables or even a few dollops of cranberry sauce. Got a ham? Pop it in too! Whatever is left or takes your fancy, within reason, then in it goes! I usually keep things simple. I might do turkey, stuffing and cranberry but I’d leave out the vegetables. Ham, turkey and vegetables go well together too. If you’ve got a lot of mash then why not skip the pastry and use that? It really does depend entirely upon what you have and what you like. 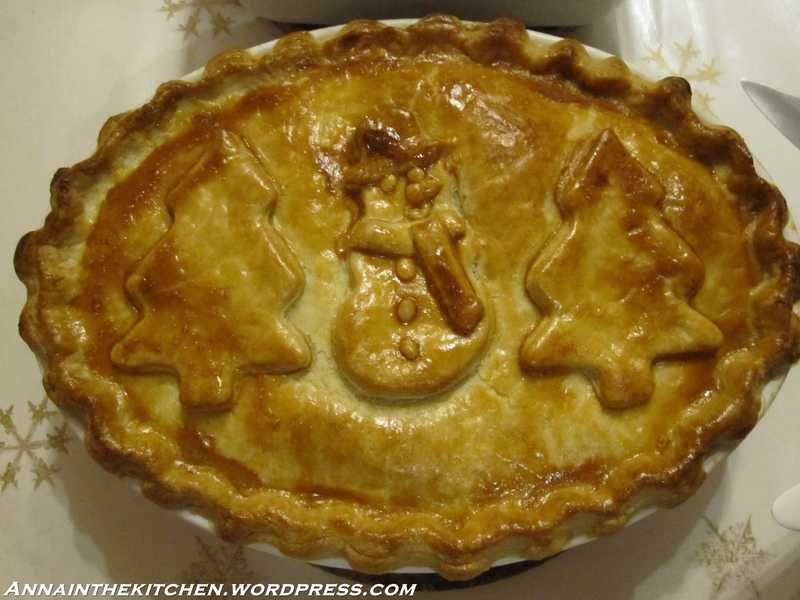 If you’ve only got turkey to play with then a simple turkey and mushroom pie is great too. Makes 1 average pie dish serving 4 people. – Add the butter and Trex and rub into the flour with your fingertips until it looks like breadcrumbs. – Using a flat bladed knife mix it together until it forms a dough. – Gather it together with your hands and lightly knead for a few seconds to bring it together. – Form the dough into a ball and wrap it in clingfilm. Place it in the fridge for 30 minutes. – First saute your onion with a pinch of salt in a little oil in a frying pan. Add whatever leftovers you’re using and stir gently to combine. – In a separate small pan add a good splash of oil, at least enough to cover the base of the pan. – Gently heat this until it just starts to shimmer a bit then add the corn flour. Whisk rapidly to combine. – Pour in your chicken stock, still whisking and keep stiring until it is a smooth sauce. – Pour this sauce into the other pan and stir well to mix. – Lightly flour the worksurface and the rolling pin, not the pastry. – Turn out the chilled dough onto the worksurface and roll it out in one direction, turning it as you go until it reaches about 3 mm thick. – Place your pie dish upsidedown on top of the pastry and cut a line around the dish about 1 cm out to leave room for shrinkage. – Cut a second line around this about 1.5 cm thick. – Fill the pie dish with the filling. – Moisten the edge of your dish with a finger dipped in water then press the 1.5 cm thick strip round the outside of the dish trimming the length to fit. – Moisten this pastry with water again then lay the rest of the pastry over the top using the rolling pin to help lift it across. – I fluted the edges of this pie. It’s very simple. 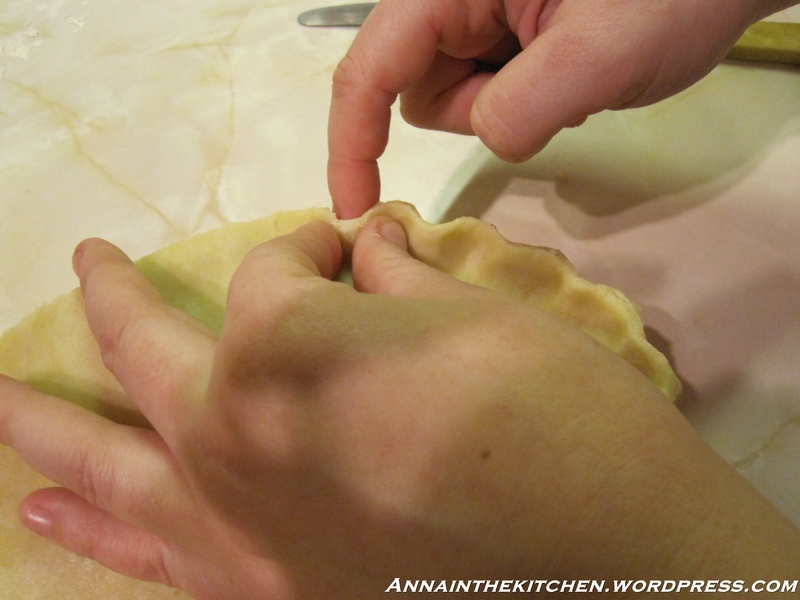 You basically place the thumb and index finger of one hand on the ‘inside’ of the pie and with the index finger of the other hand press the edge of the crust inwards between the two fingers of the other hand. Move round the pie and keep going until the whole edge is fluted. – With any spare pastry I like to make decorations for the top of the pie. * I went for a Christmassy snowman and Christmas trees. Again just dampen any pastry you’re pressing together to make it stick. – Once you’re done brush the top of the pie with beaten egg and cook in an oven preheated to gas mark 7 for 40 minutes until the pastry is a golden brown and the contents heated through. If it starts to look too brown then cover with foil or butter papers** for the remaining cooking time. * And any spare spare pastry I stamp out shapes with cutters, brush with beaten egg and sprinkle with grated parmesan to make cheesy biscuits. ** I keep the butter papers when I’ve used a block for covering things like this. It saves on foil and is a great little recycling tip! I love salt dough. There’s something so satisfyingly primary school about it but it’s not just for kids! It’s cheap, simple and fun. My sister and I made up a 3 cup batch of this and set to making Christmas decorations. 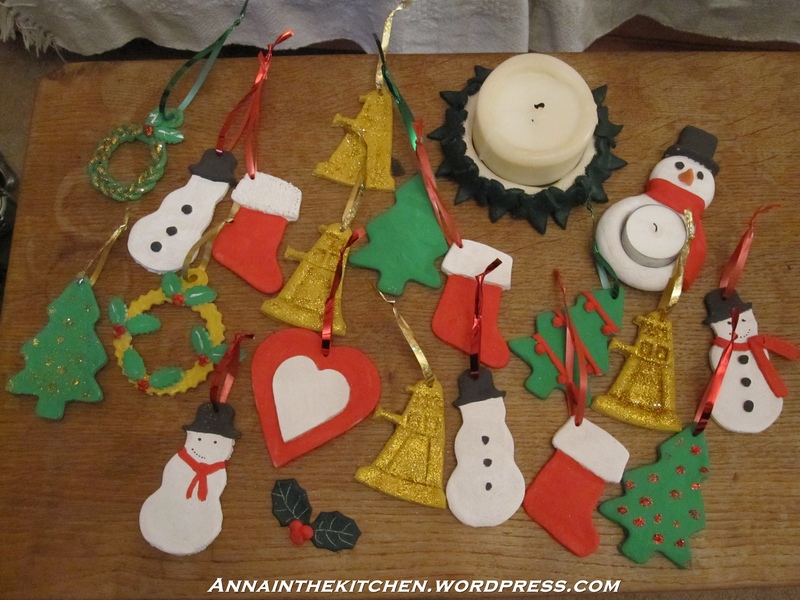 We made a mixture of things: wreaths and candle holders, cut out decorations to hang on the tree and freestyle modeling decorations too, When we were kids we made all sorts of decorations and presents from it. Handy hint, if you want to make a sheep or hair then the garlic crusher is your best friend. We used acrylic paints to paint ours but you can use just about anything you like really. For best results varnish the salt dough afterwards. We didn’t because we like the rustic, homemade look and also because we’re impatient and couldnt’ be bothered to wait! And yes, those Daleks are on the tree (round the back though) because what is more festive then the Doctor Who Christmas Special? Makes however much you want, just multiply up keeping the same ratios. – Mix together the salt and flour. – Gradually add the water and mix. – Once you have a smooth, kneadable dough you’re ready to go! 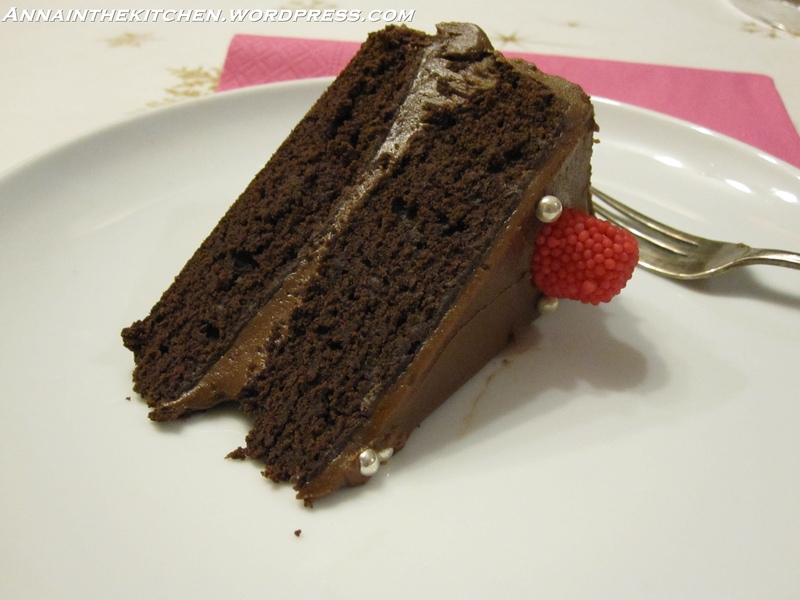 – Shape as you like and lay the finished product on baking paper. – Bake in the oven on gas mark 1 for 5 hours or microwave for 3 minutes then test and do longer if the dough is still soft underneath. – When cool paint as you wish and varnish if you like. NB. YOU CANNOT EAT THIS RECIPE. IT IS COMPLETELY INEDIBLE! I’ve been having good successes with bread for a while now but I usually stick to the same recipe because it works and makes excellent bread. However, while excellent, I was after a bread roll with a soft crust instead of a nice crusty one. 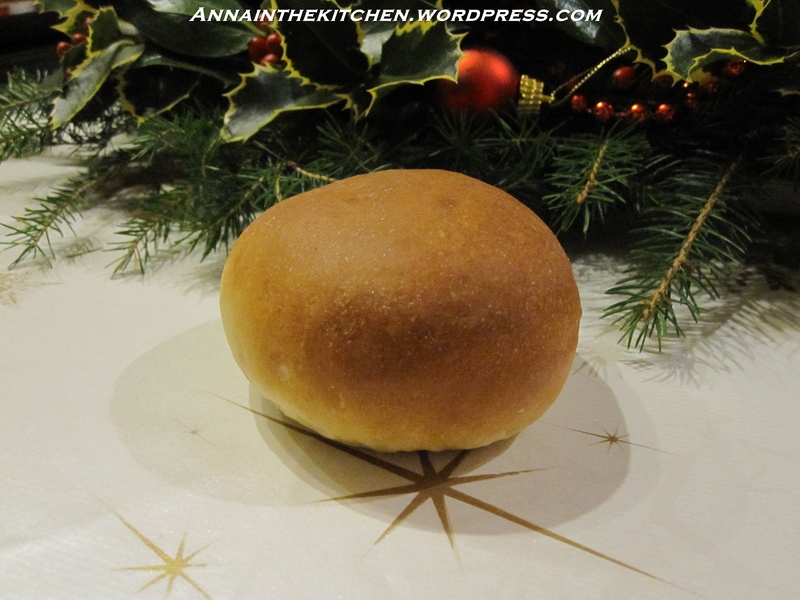 While sometimes a crusty bread roll is exactly what you need at others you really need something easy to bite, for example a bun to go round a burger. 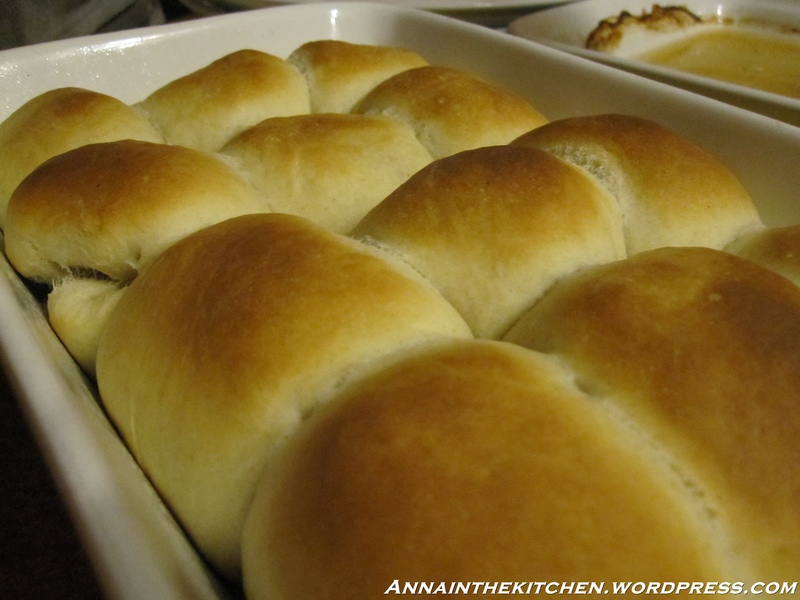 I had thought I was going to have to find a completely new recipe to get this softness in my rolls. Luckily I stumbled upon a tip that was so ridiculously simple it was brilliant. Brush the bread rolls with melted butter when they come out of the oven. So simple and it works! I changed the recipe from my usual a little bit as I’ve been experimenting with a few different things with my bread recently I find using milk instead of water makes a very nice bread and the top comes out slightly darker. On a crusty loaf it seems to make a delicious chewy blistered crust with nice flavour. But essentially this is the same as my regular bread and a doddle to make. – Mix together the flour, yeast, salt and sugar in a medium sized bowl. – Make a well in the centre and add the milk and oil. – Mix until it forms a dough then turn out onto a floured worksurface and knead for about 10 minutes until smooth and soft. – Lightly oil a bowl using your hands and then continue to knead the dough with your oil hands until the oil is worked in. – Put the dough in the oiled bowl and move around so it’s covered in oil. – Knock down the dough and knead it for a minute. – Divide the dough into the portions you want and shape into round balls by pinching the bottom sides together until you have a smooth top. – Place on a baking tray and gently flatten a little with the heel of your hand. – Repeat for each ball of dough. – Leave to rise in a warm place for at least 30 minutes until the dough has roughly doubled again. – Bake for 10 minutes at gas mark 7. – Remove from the oven and immediately brush the tops generously with melted butter. – Allow to stand for 5-10 minutes before serving. * I’ve started to rise bread in front of the fire now that it’s getting frosty. I place it on the hearth with a glass bowl over the top to keep out the drafts. Seems to work very well! We have homemade pizza fairly frequently in our house. We’ve tried dozens of different recipes and techniques trying to find the best pizza dough recipe, the most frequent problem is that the middles become soup so we got pizza trays with holes in, which helped a bit. Last Christmas I got mum a pizza stone but it wasn’t as impressive as all that. Up until tonight mum has always made the dough and done all the work but tonight I was put in charge. 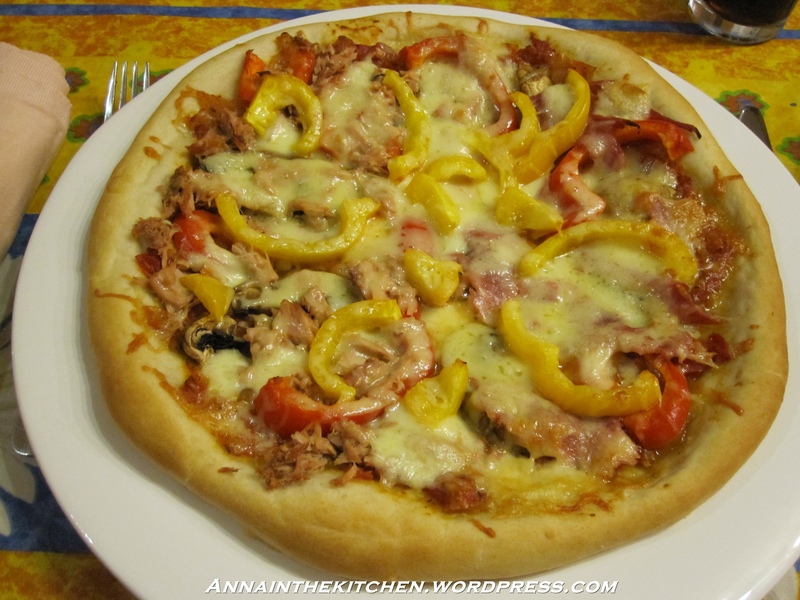 So I turned to google and my usual foodie haunts trying to make the best damned pizza this family has ever had. Boasting it may be but I may well have succeeded! The secret would appear to be part cooking the base first. It gets all big and puffy but when you put the toppings on that goes down and means that the middle doesn’t stay all goopy but still retains a bit of crispness. We are also guilty of piling on the toppings, in the past I have been known to have up to an inch deep on mine. I have no will power, you see. We set up a little area with all the toppings layed out in bowls to build our own to spec. and I just keep piling it all on! This, of course, means that they take longer to cook so be aware that if you’re spare with the toppings it’ll take less cooking time, if you’re like me they’ll need longer. Makes 3 large pizzas, if not from a family of gluttons makes 4 individual ones. Whatever you like! I always think that cheese on top is the only must, below that anything goes! – First, as it’s now winter here in the uk, I would remind you to prepare a warm draft free place for the dough to rise. 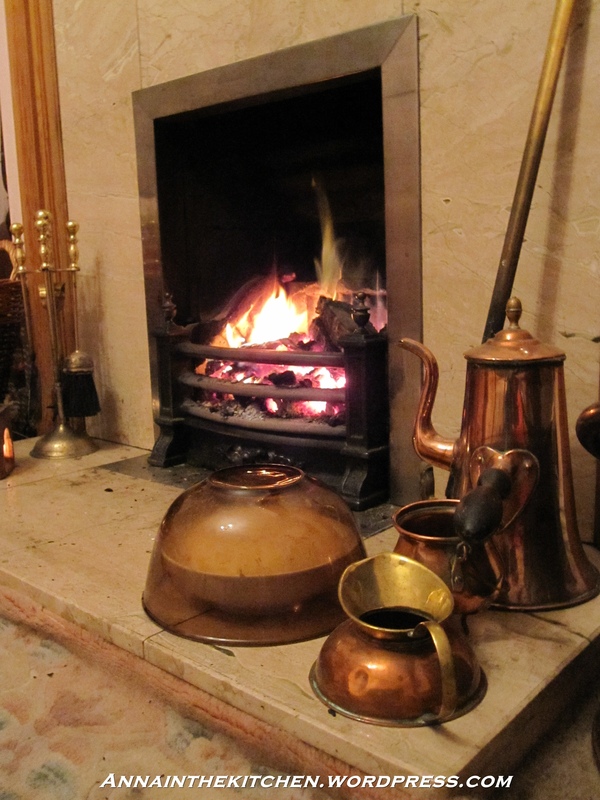 By the fire, on top of a radiator or boiler, in a gently warmed oven, wherever works for you. I usually put the oven on the lowest setting (Slow Cook) while I prepare the dough then turn it off when I put the dough in and leave it. – In a large bowl mix together the flour, salt, yeast and sugar. – Make a well in the centre and add the oil and water. – Mix with a wooden spoon until mostly combined, then get in there with your hands to get it together and get any bits stuck to the bowl off by rubbing the dough around. – Turn out onto a floured work surface and knead for 10 minutes until smooth and elastic adding more flour if necessary. – Wash your bowl if necessary then lightly oil the bowl using your hand to spread it about. – Continue to knead the dough for a minute or two with your oily hands. – Place the dough in the bowl then turn over so it’s coated with oil. – Cover and leave to rise in your warm draft free place for 1 hour or until doubled in size. – Meanwhile prepare the sauce and toppings. Chop up whatever you’re putting on the pizzas and leave them ready for people to put on themselves if you’re doing it that way. – For the sauce melt a knob of butter and a small splash of oil in a medium sized pan. – Add the garlic and stir on a low heat until just starting to brown. – Add the onion and cook on a low heat for about 5 minutes until it is very soft and starting to go transparent. – Tip in the tomatoes, tomato puree and herbs and stir well. – Turn up the heat and simmer for at least half an hour until the sauce is reduced by half, making sure to stir it occasionally so it doesn’t stick. – Heat your oven to as high as it will go. Mine does gas mark 9. – Once the dough has risen knock it down and lightly knead it for a minute. – Cut into portions and cover the dough you aren’t working with. – Roll out the portion of dough into a very rough circle about 5mm thick. – Pick it up (you’ll lose the shape here) and place it on the pizza tray then pull and stretch the edges into a circle and neaten it up. – Repeat for each portion of dough. – Leave to rest for 10 minutes. – Remove from the oven and put the sauce on and spread out to the edges then put your toppings on. – Put back in the oven and cook for 15-25 minutes until the cheese is melted and the edge of the crust is golden brown. – Slide off the trays and onto plates to serve. *I had to do some improvisation with the oven shelves as I had 2 shelves and 3 pizzas. I could have used the top oven as well but I’d rather only use one oven if I can and save energy. I placed a deep cake tin on the bottom of the oven and put the grill tray on top of that to create an extra shelf. Then I swapped the pizzas about throughout cooking so they were cooking at about the same rate. Obviously opening and closing the oven so often meant they took longer to cook but better that than having the top one burnt to a crisp and the bottom one still soft! The filling for these dough balls came from a recipe called Italian Chicken so I thought I’d carry over the name. Rather than being Italian in style the mix of flavours is what makes it Italian. The tang of garlic mixed in with the bursts of tomato over the creamy base makes and excellent, and moreish, combination. Tonight we had Italian Chicken and I thought I’d make some dough balls filled with the left over cheese mix. I’ve tweaked the recipe from the first time I made Dough Balls and now they’re even better! They only take an hour to throw together so it’s perfect if you don’t have time to make bread during the day. – In a medium sized bowl mix together the flour, yeast and salt. Make a well in the centre. – Tip the water and oil into the well. – Mix together with a wooden spoon until the mix comes together into a dough. – Once combined tip our onto a floured worksurface and dust with flour. – Knead for 5-10 minutes until the dough is soft and elastic. – Set aside to rest in a covered, lightly oiled bowl for 10-15 minutes. – Meanwhile mix together the cheese, garlic, tomatoes and herbs in a small bowl. – Lightly knead the dough so all the oil is absorbed. – Divide the dough into 12 balls, covering the dough you aren’t working with. – Roll each ball out into to a circle about 3″ in diameter. – Place a heaped teaspoon of cheese mixture in the centre of each circle. – Gather the edges of the circle together and pinch closed so the seam disappears. – Place in an oiled baking dish leaving a little space between balls. – Bake at gas mark 7 for 12-15 minutes until golden brown on top. – Serve warm to enjoy them at their best.